Part of Origin’s collection of high quality home improvement products, our bi-fold doors offer a luxury style aluminium door that is expertly finished and made from premium grade materials. Create the perfect aluminium bi-fold door for your Derby property. We’ve chosen Origin as our partner – because their aluminium bi-fold doors are the current market leaders created using advanced manufacturing techniques and innovative technology. Our customers in Derby will benefit from stunning doors that provide exceptional value, with visual aesthetics and high performance that is second to none. Our Origin aluminium bi-fold doors are created to exceed expectations providing a durable and long-lasting solution that not only looks good but performs well too. With space saving functionality making them a compact option that stacks neatly into a concertina, they are an excellent choice for any Derby home that wants a focal point that is aesthetically pleasing as well as practical. With the use of premium grade aluminium, the frames are strong and robust but also incredibly lightweight allowing for less frame and more glazing to create a beautiful finish. You can enjoy unobstructed views of the outdoor space whether you have them open up to a garden, balcony, patio, or decking. Our aluminium bi-fold doors are versatile in nature and can complement any property type. Whether you own something modern with minimalist appeal or something more traditional with period features, our bi-fold doors suit any setting. They can either blend seamlessly into the surroundings or you can choose for them to make an impact. Our Origin aluminium bi-fold doors are created to stand the test of time, engineered to last even after heavy or frequent use. They have been designed specifically to offer a robust solution that can withstand even the most adverse weather conditions, keeping your family and home safe. All of our doors undergo rigorous assessment to make sure they are up to par. Our Origin aluminium bi-fold doors allow you to open up entire walls of your Derby property to invite the outdoors in. With increased natural ventilation and adding a regulated air flow, you can control how much ventilation your property gets. With easy accessibility between your home and the outdoors, they are the perfect match for homeowners looking to create a seamless transition between the two. We have over 150 RAL shades available including woodgrain finishes for our Origin aluminium bi-fold doors. This makes it so easy to create a unique door solution that is bespoke to your Derby home. You can opt for neutral shades that blend with the surroundings or choose a pop colour to make it stand out, the possibilities are endless! The handles of an Origin Door are the perfect finishing touch to the exquisitely designed system. Choose from a selection of elegant handle styles and rest assured that they have been designed and manufactured with the same care and dedication as every other component. In addition to striking the optimum balance between superior strength and sleek design, our handles are exhaustively cycle tested to ensure they mirror the flawless functionality of the doors and stand the test of time. Certain handle models can also be colour coordinated in any RAL colour. 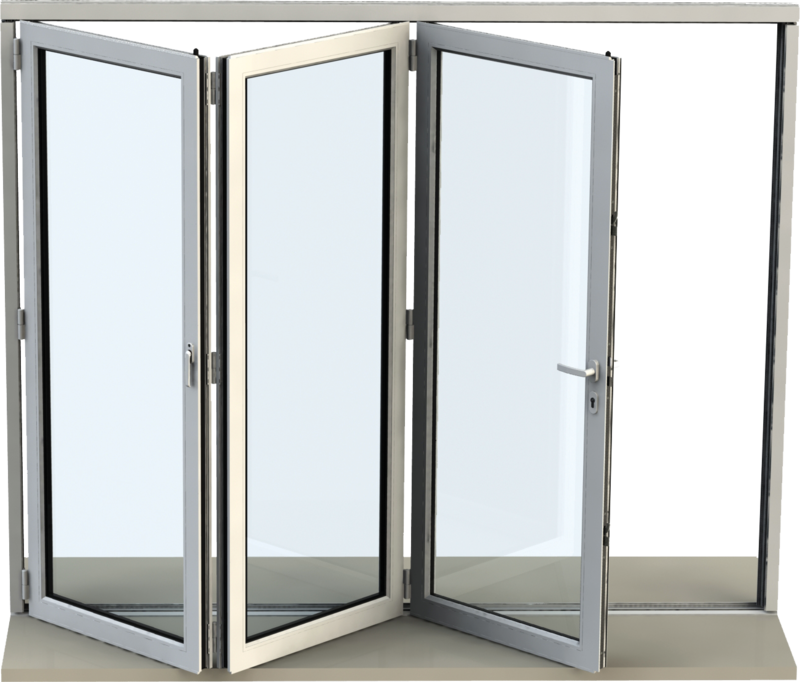 Each of our Origin aluminium bi-fold doors are made bespoke to your requirements. You can select how many door leaves you’d like, how you’d like them to stack and other configurations that are completely up to you. You can specify the size, internal and external colour, threshold options and more. Your bi-fold doors can be tailor made to suit your personal taste. Discover the benefits of fitting Origin aluminium bi-fold doors in your Derby home by calling our friendly and expert team on 01332 737885. You can also send us a message by using our contact form or use our design tool to get guideline prices. Visit our doors page.